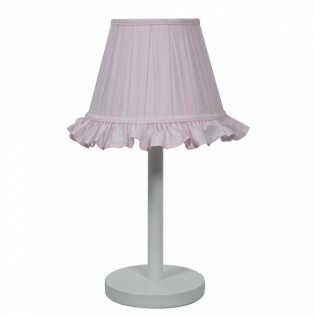 Classic floor lamp ideal for babies, boys, girls and newborns. The lampshade is artisan way made and is 100% of linen. Pleated. Available in two colors: pink and blue. Base made of wood and finished in white. Dimensions: Width 35 cm. High 138 cm.